When the United States dropped the atomic bomb on Hiroshima in 1945, a new era of international relations began. As President Truman asserted in his last State of the Union address on January 7, 1953, a nuclear war could ‘destroy the very structure of a civilization that has been slowly and painfully built up through hundreds of generations.’ Decades later, the role of nuclear weapons in international politics and military strategy still inspires heated debate. For some, the risk of nuclear arms proliferation is assumed to be self-evident. Growth in the number of nuclear warheads around the world is inevitably linked to an increase in the likelihood that a nuclear weapon may fall into the hands of terrorists or rogue states. [i] For others, the spread of nuclear weapons could be a powerful force for the maintenance of peace— nuclear-armed nations are forced to become rational actors. [ii] In part, due to this debate, a total of 191 countries have signed the UN Treaty on the Non-Proliferation of Nuclear Weapons, which includes a commitment to pursuing a nuclear disarmed world. However, as I will argue, using the United Kingdom as an example, a nuclear disarmed world will not be attained through unilateral nuclear disarmament. Nuclear weapons are not as important to the UK now as they were when the UK was an imperial power. In the current political reality, disarmament could be considered acceptable as long as the UK remains under the American nuclear umbrella. [iii] When the British government began building its nuclear arsenal in the 1950s, it needed to protect its imperial holdings and uphold its status as a first-rate power. For much of the Cold War, the British government strove to build and maintain a nuclear capability that matched that of the US and USSR in quality, if not in size. Though British imperialism has since waned, the UK continues to keep one nuclear-armed submarine on patrol at all times. In the case of complete destruction of the UK’s conventional capabilities, this submarine would be able to launch a catastrophic retaliatory strike. In the post-colonial Britain of 2017, the economic burden of these nuclear weapons may overshadow their value as deterrence tools. According to a 2017 report to Parliament, replacing the current generation of submarines will cost more than thirty billion pounds to ensure that the UK can maintain this nuclear deterrent until the 2060s. Alternatively, the UK could abandon its nuclear operational independence and rely on the US nuclear arsenal to avoid a nuclear strike against Europe. Despite the financial appeal of this option, it would leave the UK vulnerable and over-dependent on its American allies. Though the US and the UK have maintained a special relationship for decades, the particulars of this relationship have changed with the priorities and personalities of each nation’s leaders. [iv] The security situation in either country has the propensity to change suddenly and dramatically; therefore, complacency and over-dependence on this relationship could prove costly. If the US were to leave the European continent, would the UK rely on France to deter aggression by Russia, Iran, or their successors? Historically, the US has demonstrated the tendency to retreat into periods of isolationism. 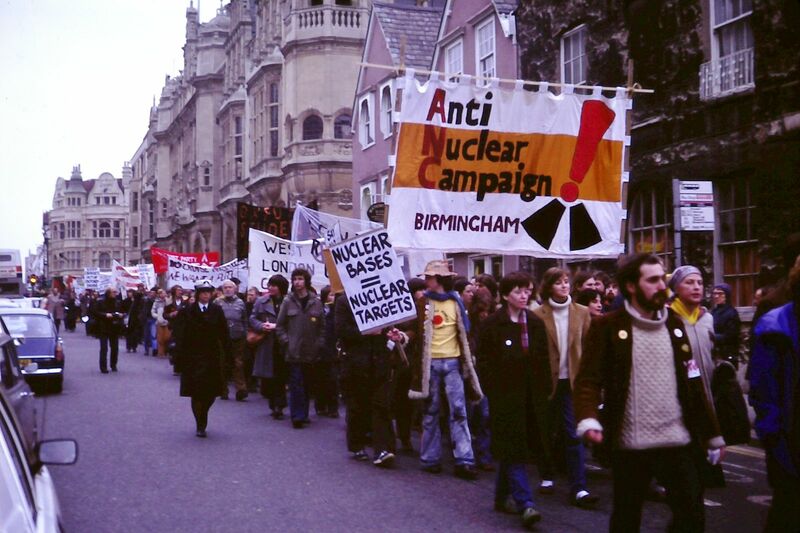 [v] In such a situation, a non-nuclear UK could be strong-armed by another nuclear power. Despite arguments to the contrary, such as those made by Scott Sagan, minimal evidence exists to support the notion that unilateral nuclear disarmament will thwart or de-incentivise the rise of new nuclear powers. [vi] Only one nation, South Africa, has ever willingly dismantled its nuclear program. Additionally, a nuclear weapons program could be veiled under the guise of peaceful energy research. [vii] Weapons themselves can be easy to transport and conceal. [viii] These concerns about deception and treaty defection make even multilateral disarmament unappealing. Finally, the relationship between nuclear weapons and international prestige should not be underestimated. The five nations with permanent seats on the UN Security Council [France, US, UK, Russia, and China] are all nuclear-armed states. The possession of nuclear weapons has directly afforded the UK ‘a seat at the table’. Post-colonial Britain would be reduced to international insignificance without its nuclear arsenal. As was discussed earlier, the strategic value of nuclear weapons may have decreased in the UK context. However, nuclear armament still provides the UK with a strong bargaining chip diplomatically in the twenty-first century. Without its imperial holdings, the UK is now an island nation ranked 22nd with respect to population. As Mark Bell wrote in 2015, nuclear weapons are a ‘weapon of the weak’. States with limited conventional capabilities stand to gain the most from nuclear armament. [ix] Nuclear weapons can keep powerful states from asserting their will over smaller, weaker states. [x] For this same reason, T.V. Paul labeled nuclear weapons the ‘great-equalizer’ in 1999. [xi] Though the UK has lost world-power status, the ‘symbolic function’ of its nuclear arsenal forces other nations to take it seriously on the international stage. [xii] Perhaps the most compelling reason for the UK to maintain its nuclear arsenal is prestige — not security. In conclusion, unilateral disarmament is an ineffective and unrealistic path to a nuclear disarmed world. As demonstrated by the UK’s current situation, it is illogical to assume that a country would dismantle its nuclear program of its own accord without multilateral agreements. Unilateral disarmament would make a powerful, albeit idealistic, statement with respect to a nation’s commitment to counter-proliferation; however, it could also put the state in a strategically perilous and diplomatically precarious situation. Possession of a robust nuclear deterrent can avoid over-dependence on allies, deter strong-arming by other nuclear powers, and garner international respect. To disarm unilaterally would be an ill-advised gamble with clear risks and unclear returns. As long as nations assume that nuclear weapons bring security and influence to those that possess them, this attitude will not only inhibit disarmament but also power proliferation. We can idealise a world at nuclear zero, but few countries — if any — will want to take the first step alone. Sarah Koch is a Marshall Scholar and a postgraduate student in the War Studies department. She holds an MSc in Islamic and Middle Eastern Studies from the University of Edinburgh and a BA in Middle Eastern Language & Literature from the University of Virginia. She will return to the U.S. Army after graduation. [i] Scott D. Sagan and Kenneth N. Waltz, “Is Nuclear Zero the Best Option?” The National Interest, no. 109 (September/October 2010): 88-89; Keith Krause and Andrew Latham, “Constructing Non-Proliferation and Arms Control: The Norms of Western Practice,” Contemporary Security Police 19, no. 1 (1998): 36-39. [ii] Sagan and Waltz, “Best Option? :” 93-94. [iii] Nuclear umbrella refers to the assumed protection that nuclear-armed states extend to their allies. Assumed American nuclear protection has been key to NATO defense of the European continent since the Cold War. [iv] A weakening relationship, at least outwardly, can be seen under the current Trump and May administrations. [v] After its founding, the US embraced its geographic isolation, and this sentiment endured until the Spanish-American war. These feelings were revived after WWI. The outbreak of WWII gave rise to the America First Committee. Calls for “America first” have returned in the Trump era. [vi] Sagan and Waltz, “Best Option? :” 88-91. [vii] Wyn Bowen, Matthew Moran, and Dina Esfandiary, Living on the Edge: Iran and Nuclear Hedging, (London: Palgrave Macmillan, 2016), 51-59. [viii] Sagan and Waltz, “Best Option? :” 92. [ix] Mark S. Bell, “Beyond Emboldenment: How Acquiring Nuclear Weapons Can Change Foreign Policy,” International Security 40, no. 1 (2015): 118. [x] Sagan and Waltz, “Best Option? :” 92. [xi] T.V. Paul, “Great Equalizers or Agents of Chaos? Weapons of Mass Destruction and the Emerging International Order,” in International Order and the Future of World Politics, ed. Paul and John A. Hall, (Cambridge: Cambridge University Press, 1999), 374. [xii] Scott D. Sagan, “Why do states build nuclear weapons? Three models in search of a bomb,” International Security 21, no. 3 (Winter 1996/97): 75. Profile: Sarah Koch is a Marshall Scholar and a postgraduate student in the War Studies department. She holds an MSc in Islamic and Middle Eastern Studies from the University of Edinburgh and a BA in Middle Eastern Language & Literature from the University of Virginia. She will return to the U.S. Army after graduation.